Chris Brown allegedly threw his bodyguard off a plane after they apparently got into a fight on board. Chris Brown, 23, abandoned his long-time bodyguard known as Big Pat in Bermuda after a pit stop on the Caribbean island on Wednesday. An airport worker explained to The Bermuda Sun newspaper: “I’m not sure of the details of what happened on the plane but his plane came in, got services and everything was finishing and they were getting ready to leave. “Then there was a stall. The security guard [Big Pat] got off first. He was standing outside talking to the pilot. Then Chris Brown and another guy came off. They had to come inside to Customs. Chris Brown was travelling back from his gig at the Accra Sports Stadium in Ghana, West Africa on Tuesday. 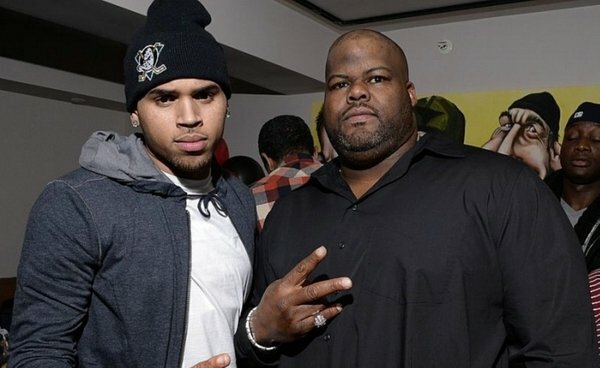 Big Pat has stuck by Chris Brown through his previous temper tantrums and even took a glass bottle to the head during the star’s club brawl with love rival Drake last June. Meanwhile Chris Brown was at the centre of another bust up on Wednesday night – after rowing with a valet parker at a Los Angeles bowling alley over the $10 service charge.